For the first time, Givenchy introduced men’s couture. But, at the hands of Claire Wright Keller, it was an afterthought to an utmost powerful and dominant chapter of women’s haute couture — and a turning point for the French brand. In Paris, the designer presented a co-ed spring 2018 couture offering that, as the industry continues to struggle with just how to make the expensive breed of fashion buyable, is the most realistic couture collection to hit the runway in years. Clearly struck by the spark of a new era of power dressing for women, Keller did so without making a single suit. But she didn’t do it on her own. A glance into Givenchy’s couture past could tell any fashion historian who sat in awe watching the show that some of the looks were riffs off former creative director Riccardo Tisci’s couture history. But there was a method to that madness, too: Upon surveying Tisci’s archive, it’d seem that Keller was most interested in the Italian designer’s pre-lookbook era, when he forewent the traditional runway format and photographed his designs in curt, outdoor brochures instead. Think: luxury lookbooks. It was the period that preceded the fame he’d soon acquire via the street glam ready-to-wear collections that’d put his star on the map. As far back as fall 2005, and perhaps even earlier, Keller dug deep — and it payed off. Through spring 2010, what would be Tisci’s last couture catwalk for four years (before slipping 12 looks into his fall 2016 menswear show), Keller took what she felt would resonate with women today and updated key elements. 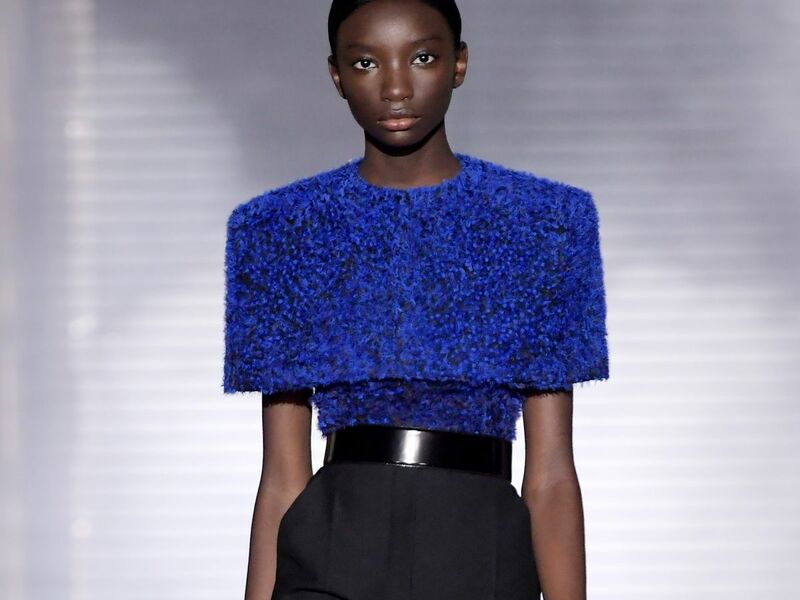 Archival tailoring tricks were applied to coats that draped over red carpet-ready gowns, stiff belts were paired more often than not with strong, sturdy shoulders, feminine details like feathers and ruffles were kept at a minimum, and most strikingly, the color black felt more vibrant than ever. What you’ll see in the slideshow ahead is not only beautiful and worth its own Instagram gallery, but inspiring; an example of what high-fashion, price tag aside, should be. At a time when women are reclaiming suits and thrusting them into a different kind of spotlight, Givenchy’s latest haute couture collection was a thoughtful reminder of just how powerful fashion can be. It was a line-up that, from look to look, made us wonder just how crucial suits are amidst a movement that may not even need them. And, in Keller’s case, a designer whose raw talent should be taken more seriously now than ever, it’s a collection that will see the love it deserves — and on women who don’t question whether or not they look good. 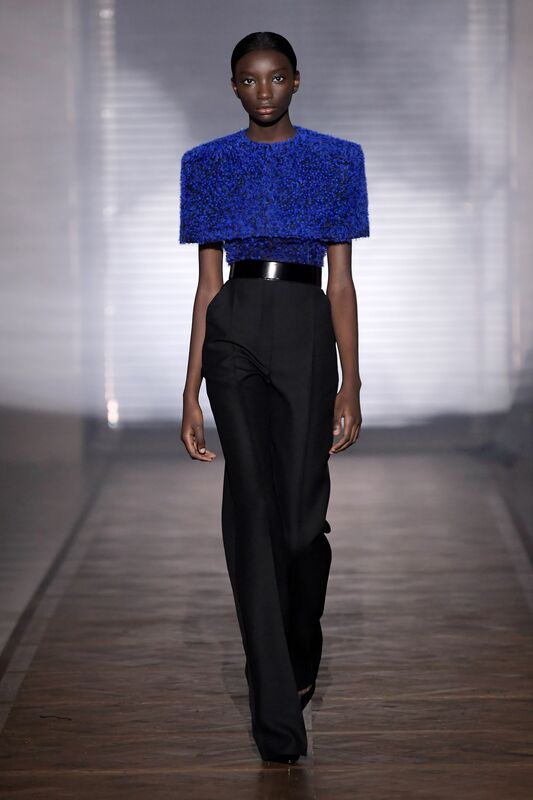 Because in Givenchy haute couture, once again, they do.